Mac Daddy is such a clean and well mannered boy, that he refuses to do his business in his dog run. He waits to be taken outside every time before he'll let go. So much for his street credibility. He was labeled "dog aggressive" at the shelter, but has proven to be anything but that. He loves other dogs and delights at having the opportunity to romp around with the other Sachi pups. 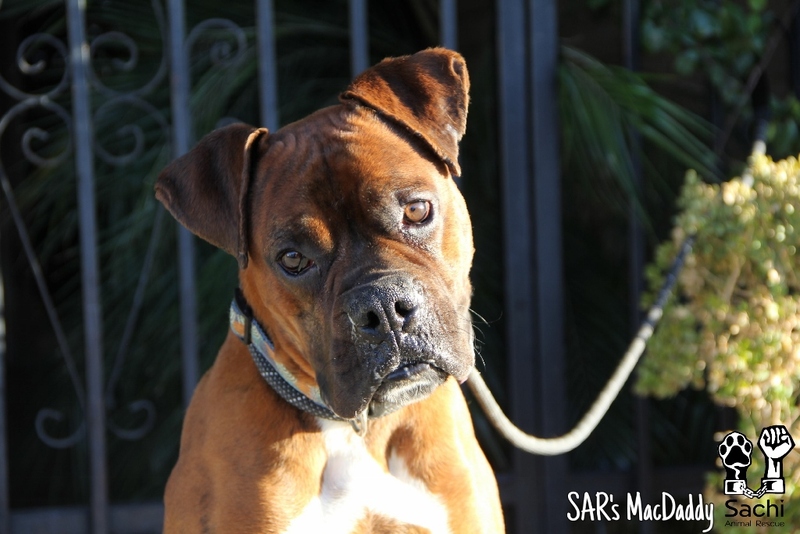 He's young and sweet and has become a fast favorite of our volunteers. Could he be playing us? Nah. He's perfect!